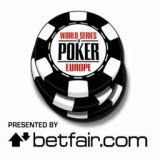 Two European players sponsored by Betfair.com have got the World Series of Poker (WSOP) Europe off to a flying start by becoming the first people to win a recognized WSOP bracelet outside of the US. German player Thomas ‘Buzzer’ Bihl had the honour of making poker history yesterday when he took down the first WSOP Europe event, winning £70,875 in the H.O.R.S.E. tournament. Two-time WSOP winner Jennifer Harman from Reno, Nevada, finished in second place after relinquishing a two-to-one chip lead to Bihl, who played a quiet waiting game for most of the 13-hour final table. Following in Bihl’s footsteps today was another Betfair-sponsored player, Italy’s Dario Alioto of Palermo who won the £5,000 buy-in Pot-Limit Omaha Championship, £234,390 in cash and the second WSOP gold bracelet ever awarded outside the United States. The 23-year-old battled past a strong contingent of star players including Roland de Wolfe, Andy Bloch and Ted Forrest, who all cashed, to take the title in the early hours of this morning. Istvan Novak of Hungary took second place and £137,280. The WSOP Europe £10,000 buy-in No-Limit Hold’em Main Event will kick off later today at the Casino at the Empire on Leicester Square, The Sportsman in Marble Arch, and Fifty on St James’ Street.